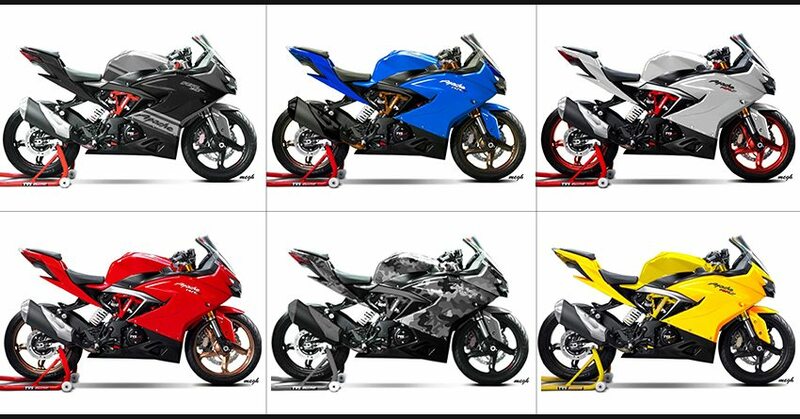 He has neatly finished each of them with matching frame shade and rear tyre stand. 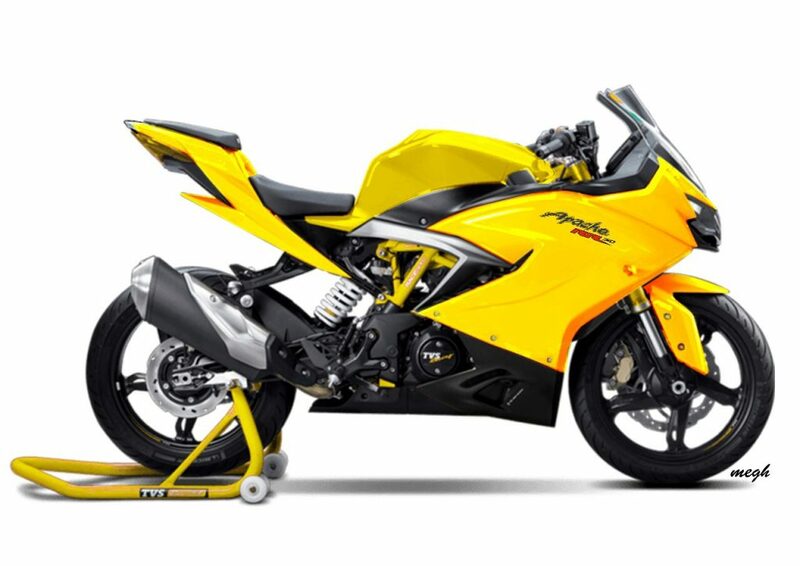 He is an automotive design student and loves working digitally on bikes and cars. 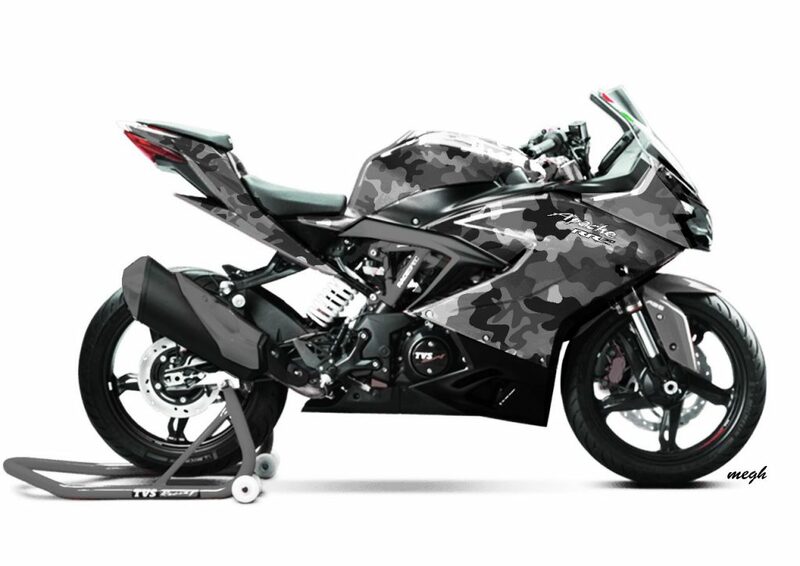 He has even made some mind blowing drawings of upcoming products and rendered some stock products into off-road and race specific examples. 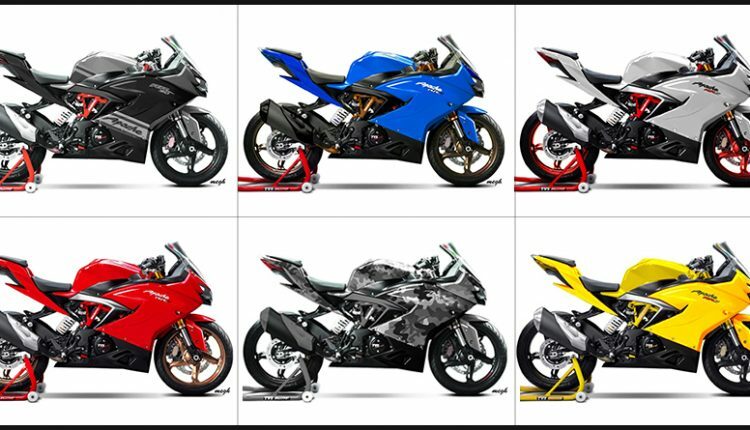 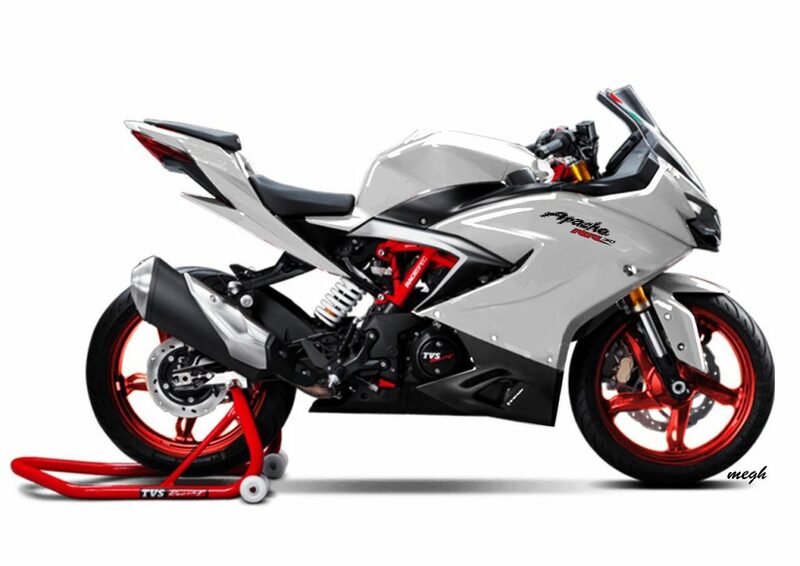 Apache RR310 may come in new colors next year but one can get the beautiful machine wrapped in Meghdatt’s suggested schemes for exclusivity. 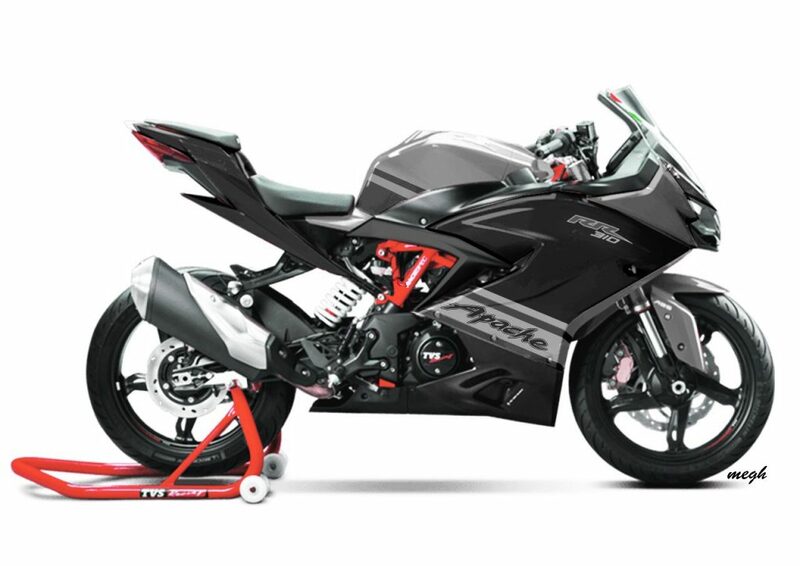 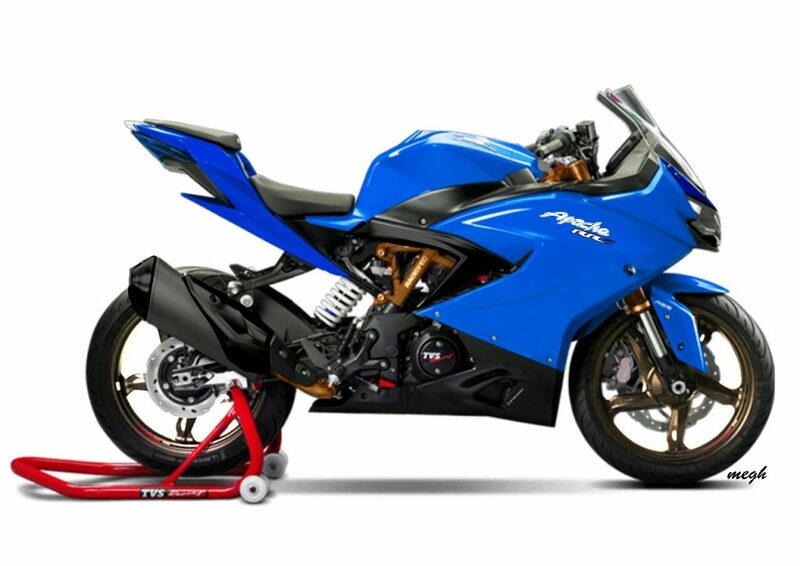 TVS Apache RR 310 is powered by a 312.2cc, single cylinder engine producing 34 HP at 9700 rpm and 27.2 Nm at 7700 rpm. 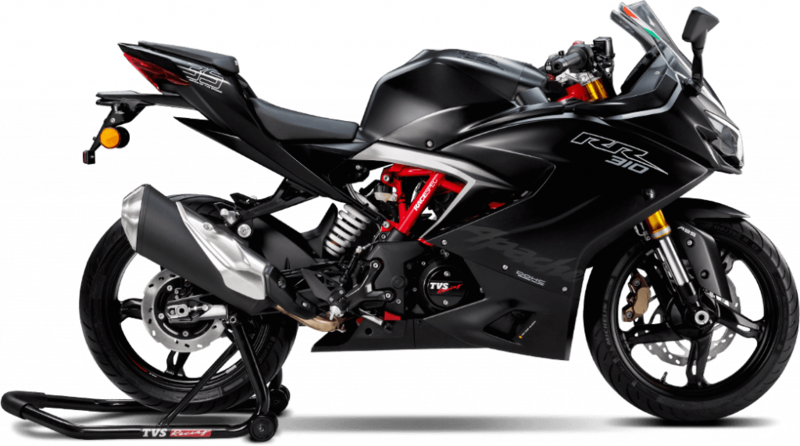 It comes mated to a 6-speed gearbox.